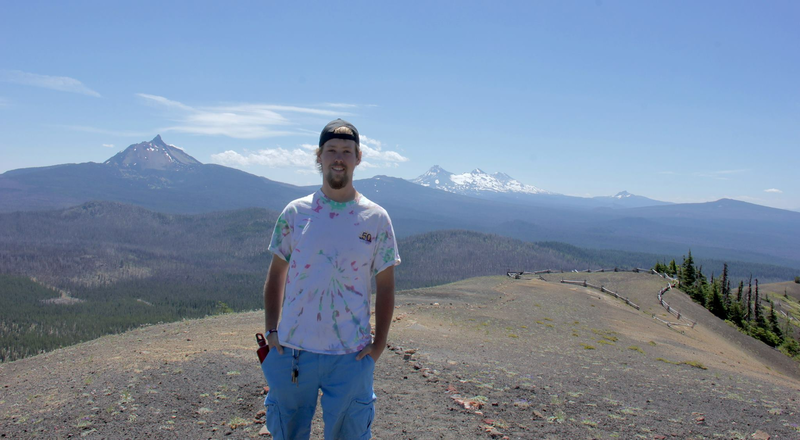 Brian Robak, a videographer and media director at Oregon Conference's Big Lake Youth Camp fell to his death while hiking on Mt. Washington on June 30 according to the Deschutes County Sheriff's Office. The Sheriff’s Office was notified at 3:32 Friday morning that Robak had not returned to camp after a solo hike. Oregon's National Guard rescuers found Robak’s body during an air search Saturday afternoon. He was 28 years old. This weekend, LVFF and the Las Vegas film community lost one of our best filmmakers and alumni. Brian, thank you for all the memories. You touched the lives of so many through all the work you've done and the friendships you made; that is something we will never forget. You will live on through all the wonderful films you were a part of. Rest in peace. On Facebook, tributes to Robak poured in as news of his tragic death spread through social media. "I'm proud to have called him my friend and brother," wrote Brian Flegel. "Robak I'll be looking for your name at the end of the credits for the new Bourne movie, but I'll always remember you for the way you could always make me and everyone around you laugh, and for other great memories to numerous to list." Big Lake wrote on Facebook, "We are mourning the loss of Brian Robak. Join us as we continue to lift up Brian’s family and friends in our prayers. Thank you for all your expressions of care and concern for our staff." The Sheriff's Office stated that it appeared Robak fell a "significant distance" while hiking on Mt. Washington's eastern flank. Some estimates put the fall at 500 vertical feet. According to hikers who crossed paths with Robak, he had reached the summit of Washington's nearly-8,000 foot peak at approximately 4:30 pm. He was purportedly climbing without ropes on a mountain with treacherously loose, rocky terrain in places. He was described as a knowledgeable climber. An aspiring actor, Robak graduated in 2010 with a degree in film from the University of Nevada in Las Vegas. He appeared as an extra in several movies, including "Paul Blart: Mall Cop 2" and the forthcoming "Jason Bourne." He also acted on stage, including as Nebuchadnezzar in the 2014 International Pathfinder Camporee in Oshkosh, Wisconsin.